Home Frgx Women Five Star Fragrance Co. Brand: Five Star Fragrance Co. 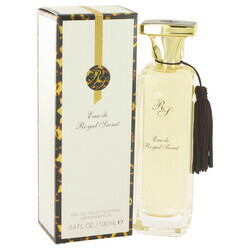 Manufacturer: Five Star Fragrance Co.
Indulge your love for all things luxurious with Eau de Royal Secret from Five Star Fragrances. Introduced in 2014, this women's fragrance is the perfect blend of femininity and glamour, making it an ideal choice for days when you want to take your style to the next level. It features top notes of baie rose, followed by exotic notes of bergamot, Mandarin and black currant.